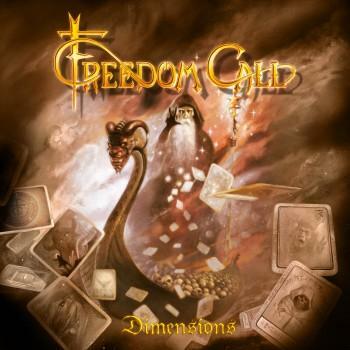 Freedom Call is a German power metal band created in 1998 by guitarist/singer Chris Bay and Gamma Ray's drummer Dan Zimmermann. They've released 5 studio albums so far: Stairway to Fairyland (1999), Crystal Empire (2001), Eternity (2002), The Circle of Life (2005) and Dimension (2007). You can also find an EP (Taragon, 1999) and a Live Album (Live Invasion, 2004) in their discography. Spring 1999 Recordings for the first CD "Stairway to Fairyland"
Summer 1999 Recordings for the EP "Taragon"
2000 Production of second album "Crystal Empire"
Beginning of 2002 Recording of third album "Eternity"
Chris Bay and Dan Zimmermann first met in the year of 1988. At this time, the members of Daniels Cover-Rock-Band "China White" where looking for a new singer. Chris was the right one for China White, to make a good job in the cover scene of the southern part of Germany. From this point on, Chris and Dan played together in several cover bands (e.g. "Lanzer") for some years. There where also times, when they went seperate ways, but finally they came together again. Both guys talked very often about once having an own band togetherand in January 1998 their visions became reality: Chris asked Dan to write some songs together and came up with some most promising ideas. So they started putting their ideas together on tape. In the beginning of1998,there was a lot of free time for Daniel to do different things, because Gamma Ray had a long break at this time and in summer they played just a few festivals. The cooperation between the two guys was really harmonic and after a few weeks, they could finish their first 6 song demotape. In the person of Charlie Bauerfeind,- Chris and Dan knew him since a couple of years, they found the right one to produce the songs with. He listened to the tape and liked the songs very much. He offered the tape to several record companies and the responses where pretty positiv. 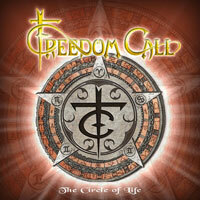 At the same time, the Freedom Call line up was completed by Ilker Ersin on the Bass guitar and Sascha Gerstner on Guitar. Chris and Dan saw Sascha in the beginning of 1998, playing in one of the numerous cover bands in the south of Germany. They where impressed about his precise and variable guitar playing and asked him immediately to join the band. Ilker was well-known for being a reliable and engaged musician. Chris played with him together in a band called Moon?Doc for some years. In summer of 1998 another 5 songs where finished. In autum 1998 the contracts with our record companies in France, Japan, and Germany where fixed and Freedom Call began to rehearse all the songs. 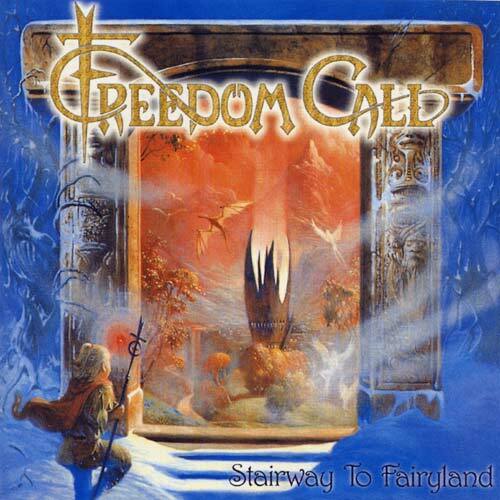 On January 2th, one year after Freedom Call was founded, the recordings to the first album called "Stairway to fairyland" began and lasted for 2 ½ month. At the 25th of May the guys had their official Live debut during a France tour as support band of Angra and Edguy, in Grenoble. The France tour was very successful and in the reader polls of the Hard Rock magazine in France Freedom Call were chosen as the second best Newcomer of the year 1999. During summer '99 the band played some single shows and festivals like Wacken or Cologne (at the Pop Komm, together with Savatage).The rest of the time the guys spent on writing new songs. 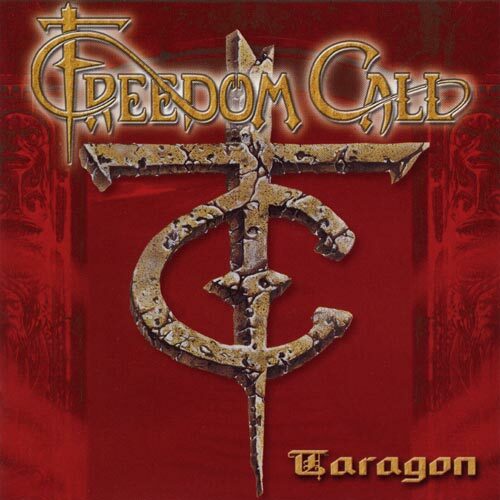 In the end of August Freedom Call started recording the 5-track Mini LP called "Taragon", with new songs, a cover version of Ultravox' "Dancing with tears in my eyes", a new-sung version of the "Stairway to Fairyland" Japanese bonus track called "Kingdom Come" and a new version of "Tears of Taragon" with Biff Byford, singer of Saxon narrating the "Tale of Taragon" on it. 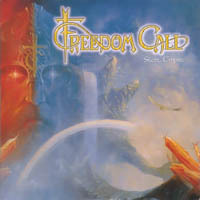 In November 1999 Freedom Call played 17 Shows in Germany, Belgium, Netherlands, France and Switzerland as support of Saxon, during their Metalhead tour. The reactions of the audience to the Freedom Call performances were very good. 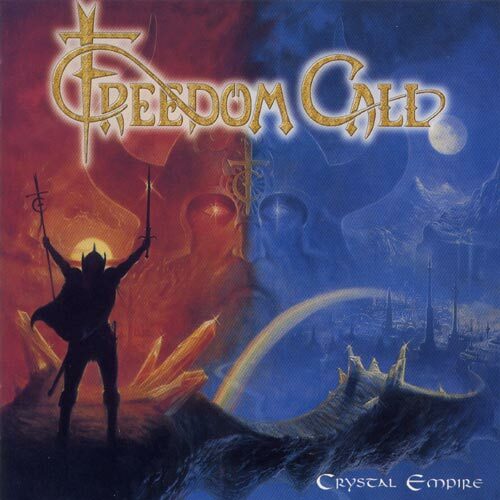 Right after finishing the Saxon tour, Freedom Call prepared to enter the studio again to record the the second album called "Crystal Empire". On the 17th of December 1999, the drum-recordings started in Hamburg. The whole production lasted until the middle of September 2000. There were several breaks in between and so the guys could play some shows and festivals, e.g. in Fulda with Edguy, in Bourges (France) with Stratovarius and Rhapsody, in Pratteln (Switzerland) with Saxon, U.D.O., in Bologna (Italy) with Gamma Ray and Labyrinth. 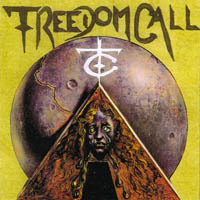 In October 2000 Freedom Call were asked to support Hammerfall and Virgin Steele on their Renegade World Crusade tour 2001 from the 10th of January to the 28th of February. In the beginning of the year 2001 Freedom Call will play 40 shows all over Europe: Norway, Sweden, Danmark, Germany, Belgium, Netherlands, Austria, Switzerland, Italy, Spain, Portugal, Hungary, Slovakia, Poland, France. 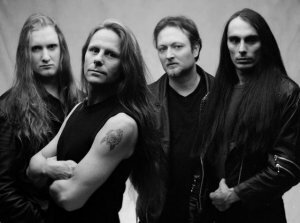 In March 2001, right after the guys came back from the Renegade World Crusade, Sascha Gerstner left the band. He told, that he wants to make his own band. He didn't want to play "Metal" music anymore. After several auditions Freedom Call found the new man on the guitar and the line up was completed again. His name is Cedric "Cede" Dupont, 22 years old, from Basel, Switzerland. His great talent on the instrument, his ability to transpose ideas into music and his nice character impressed the other guys very much. In the meantime the song writing process was running well. During the summer festivals the band and the fans got an impression of Cede's great Live Performance. The chemistry within the band was very good and the Freedom Call fans gave Cede a big welcome. In the end of a very busy and successful year of 2001 the band got very good news: Freedom Call were confirmed to support the up coming Blind Guardian Tour in April and May 2002 in Germany, Switzerland and Spain. This was the best motivation for Daniel, Chris, Ilker and Cede to do a great new album. In the middle of January 2002 the guys entered the studio to start recording their new album called "Eternity". Dan and Chris produced the album on their own this time. Charlie Bauerfeind was not available to do the whole production. He was responsible for the drum recordings and the final mix. Because of the good chemistry in the band and the great expieriences, every band member could make during the last years in studio and live on stage, the recordings went well and pretty fast. The result sounded very tight, mighty and powerful. Everybody was well-prepared and responsible for his special part, which affected the result in a very good way. In the middle of April 2002 the production was done and the guys started the rehearsals for the tour with Blind Guardian. During this tour the band recorded a live album (in Düsseldorf, Stuttgart and Munich) together with Charlie Bauerfeind. The guys rehearsed 13 Songs, which will probably be on the album. The release is planned for the beginning of the year 2003. On Monday the 3rd of June, right in the middle of the Spain shows, the new album "Eternity" was released worldwide and went right into the Germany Music Charts, position 55. The whole tour with Blind Guardian in Germany and Spain went well and again was very successful. The band made a lot of new fans and friends. 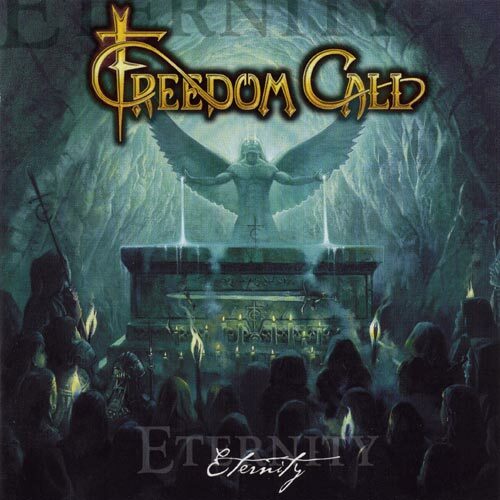 In September 2002 Freedom Call will continue their "Eternal World Tour" with shows in France, Belgium, Germany, Switzerland and probably Sweden, but this time as a headliner.